Pumpkin Tree Organics is a small, privately-owned company based in South Kensington, London, with an office here in Oregon. The company was founded upon a desire to provide organic food and drink for children, which contains neither added sugar, salt or any artificial ingredients. The company strives to create products that are not only delicious in flavor, but also healthy to help your little one’s growing body! Pumpkin Tree Organics aims to provide great tasting organic snacks. 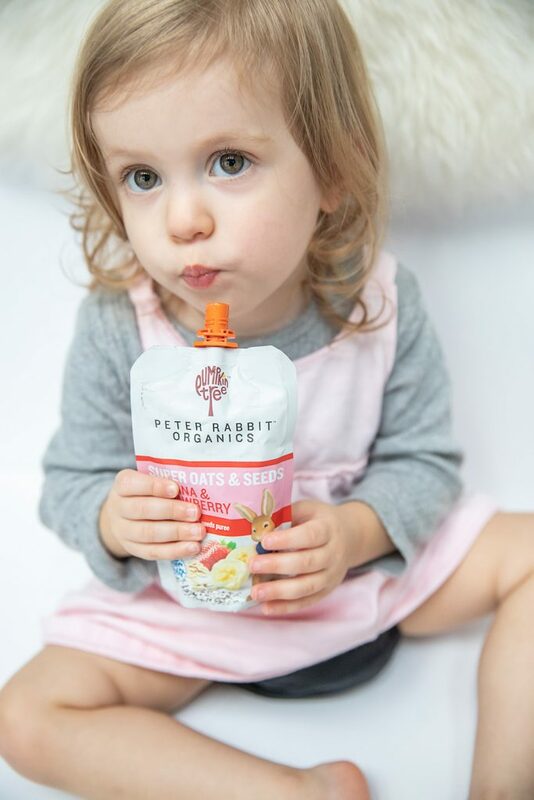 When they started Peter Rabbit Organics, they made 3 promises: that everything would always be 100% organic, 100% healthy (no added sugar, no added salt and nothing artificial) and always taste 100% delicious. If this isn’t a mission that screams excellence, I don’t know what does! This is my mother mantra when it comes to feeding my baby girl! 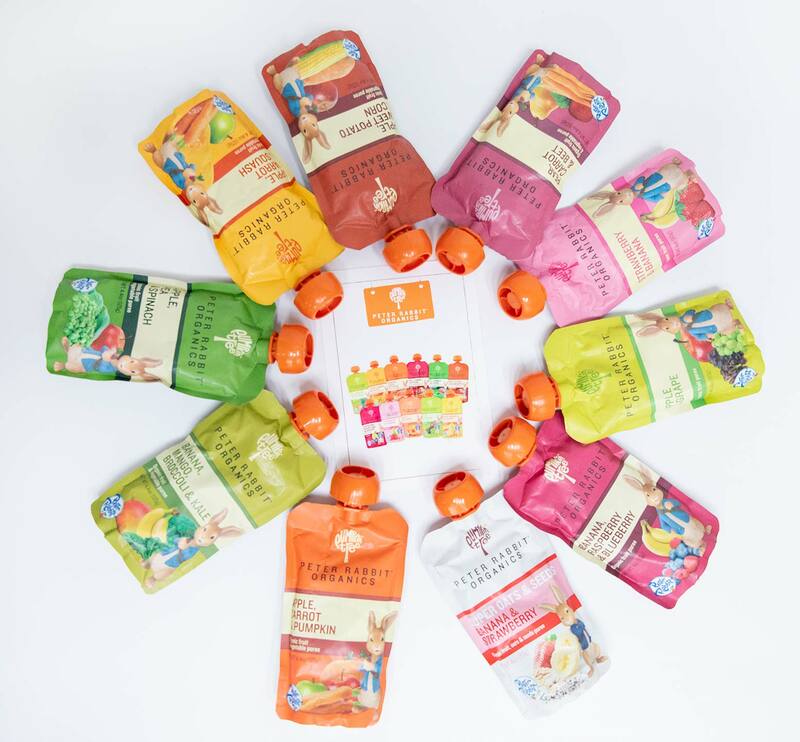 Pumpkin Tree/Peter Rabbit Organics snacks are ideal for babies from 6 months plus and toddlers. With 11 delicious flavors to choose from, your child will be sure to find a pouch that suits their taste buds. Because the pouches don’t have to be refrigerated until after they are opened, I just toss one into the diaper bag and head out the door – it’s great! These convenient squeezable pouches are re-sealable and do not need to be chilled, making them a great snack for children that can be eaten anywhere. I love that they have choke-free caps that make them safe for the little ones. Have a family of little adventurers? 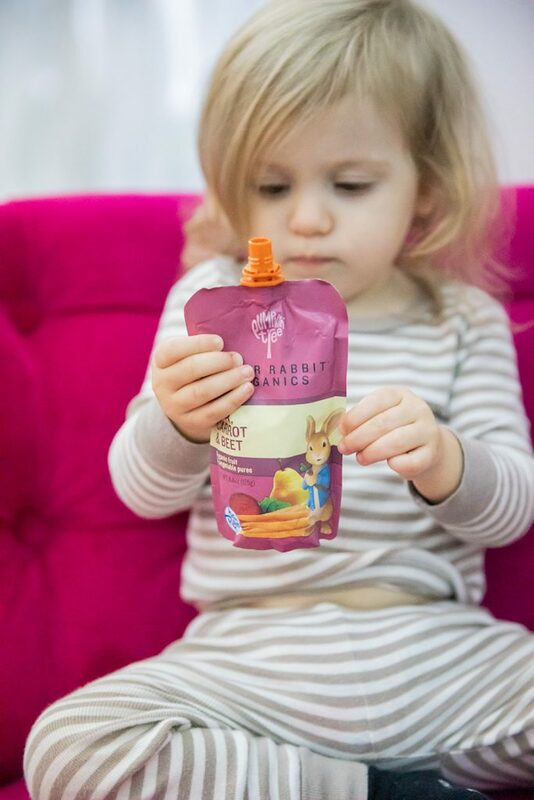 Peter Rabbit Organics is the perfect snack for kids on-the-go. Squeezy pouches are great for pulling out of a bag or popping in a lunchbox, while our fruit and veggie combos make for a wholesome option at snack time!! 100% USDA Certified Organic and Non-GMO ingredients. Overall, my daughter liked all the pouches. She definitely favored some more than others. All of the fruit ones were a hit! Some of the veggie purées she loved more than others! Her favorites were the strawberry and banana and the apple, carrot and squash. Of course I had to taste test each one! I was surprised they were loaded with such flavor and you could really distinguish each fruit or veggie listed on the packaging. Definitely will be enjoying some of the fruit purées in my smoothies! Like my daughter, the strawberry and banana has my vote as the best, but what can I say I have a sweet tooth! Since Peter Rabbit Organics doesn’t require refrigeration before eating, this makes it a super convenient snack! Convenience is my new mother middle name – LOL! I love that not only does it come in a BPA-free resealable pouch (with a no-choke cap), but it’s virtually mess-free and easy to hold for my daughter’s little hands. 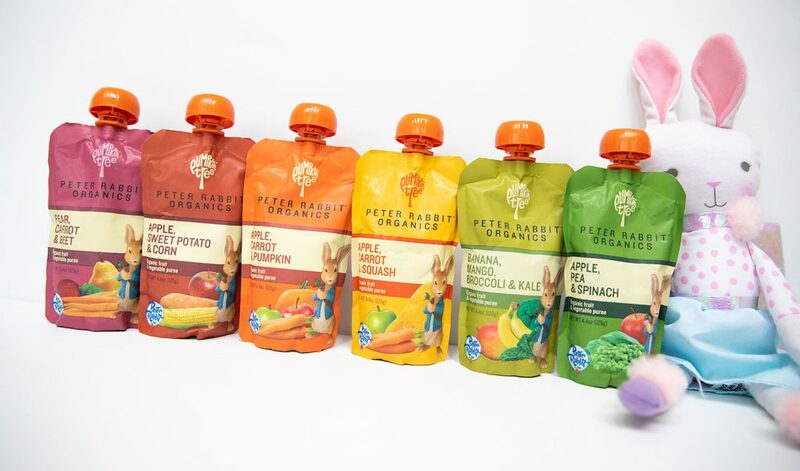 Peter Rabbit Organics pouches are available in a wide variety of retail outlets nationwide – supermarkets, speciality stores, independently owned and operated markets, mom & pop shops, cafes, e-tailers and more. Do you love the convenience of pouches when you’re on-the-go?